For many years, visitors to Centralia, PA would see homes with multiple “chimneys.” These were, in fact, not chimneys at all. Rather, they were brick buttresses designed to support the house walls. 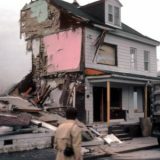 As the residents of the town began to be relocated in 1984, their homes were demolished. The relocation was voluntary up until 1993. 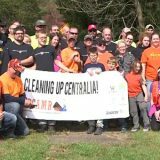 In other words, most people were not forced to leave during the first decade of the Centralia relocation project. 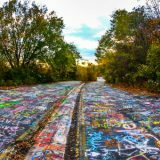 Centralia, Pennsylvania was a traditional town with rows of homes on blocks. Many of these homes were duplexes or were otherwise partially supported by the buildings around them. If everyone in a row of homes vacated, there wasn’t a problem. However, if one or two refused to leave, then their homes were in danger of collapse as their neighbors’ houses were razed. The solution to the problem was to brace the remaining homes. This was accomplished using brick buttresses. Like in the ornate, Gothic-styled cathedrals of Europe, the buttresses helped to support the outer walls of the building. They enabled the remaining houses on a block to stand, even when the others in the row had been leveled. 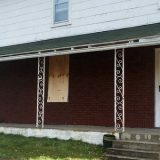 Eventually, even the residents who held out and had their homes buttressed, would leave by their own accord or through eviction by the State of Pennsylvania. This led to most of the remaining homes being razed. It’s a bit frustrating to think that after going to the expense of erecting buttresses on these homes, they would be destroyed too. 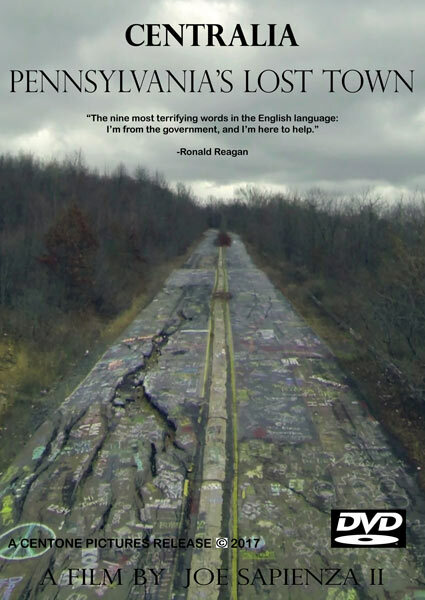 Today, there are only a few remaining homes left in Centralia, PA. And, it appears that of those which remain, none are buttressed. 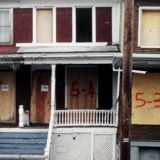 The home in the above picture was demolished sometime around 2010 after its owners were evicted by the State of Pennsylvania.